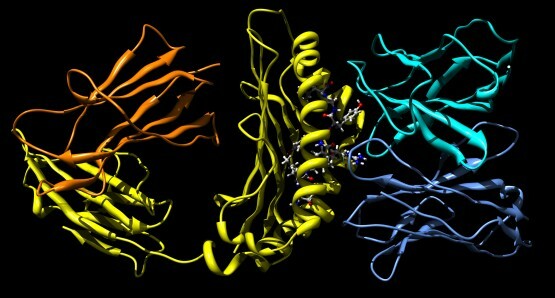 The experimental techniques for the determination of the three-dimensional structure of biological macromolecules have significantly progressed recently. As a consequence, the number of known 3D structures increases continuously, with about 35,000 structures currently available. This strikingly modifies the research in biology and medicine. It is indeed now possible to interpret in vitro experimental results in view of the structure, leading to a more detailed understanding of the phenomena at the molecular level and directing rationally new relevant experiments. However, this large number of available experimental structures only covers a small fraction of the proteome. Therefore, it is necessary to use theoretical, in silico, approaches to extend the application field of structural techniques. It is indeed possible to create theoretical models of protein structures based on the experimental structure of homologues (homology modeling) or using in silico folding approaches (ab initio modeling). Once the structure of the macromolecule has been determined, experimentally or theoretically, several in silico techniques can be used to determine the contribution of the side chains to the structural stability, or to the association process between two proteins or between a protein and a small ligand, for instance. The objective of the PMF platform is to provide the researchers of the Biology and Medicine Faculty of Lausanne with a competence center for protein structure prediction, and for the interpretation and design of relevant experiences. Production of figures or short videos for scientific communications (posters, articles, talks).